Dyslexia Day at the Braves! 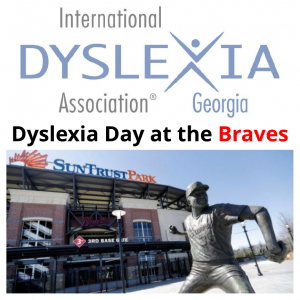 Join the International Dyslexia Association Georgia (IDA-GA) for Dyslexia Day at the Braves, a fundraiser game at SunTrust Park where a portion of every ticket sold through https://groupmatics.events/event/Internationaldyslexia will go back directly to IDA-GA. Seats are available in the Home Run Porch (outfield) and Grandstand Reserved section. 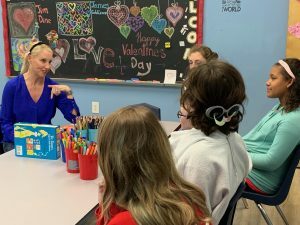 IDA-GA is a 501(c)(3) non-profit, scientific and educational organization formed to increase public awareness of dyslexia, the most common cause of reading, writing, and spelling difficulties (affecting 15-20% of the population). 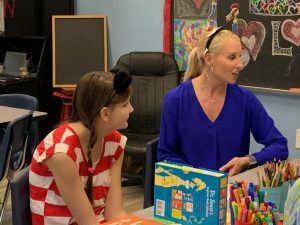 They are a resource and support system for educators, parents, and all professionals concerned with dyslexia and related reading difficulties. 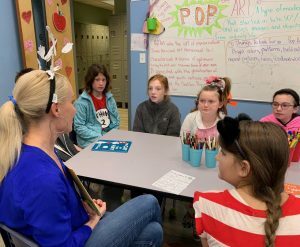 IDA-GA provides community outreach activities including the annual Dyslexia Dash 5K run/walk, professional education conferences, scholarships and grants focused on teacher training, an information and referral hotline, and e-newsletters to increase awareness and educational solutions for struggling readers. 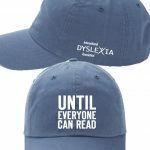 Learn more at ga.DyslexiaIDA.org. You can also purchase this hat for pickup at stadium or delivery. More details HERE. 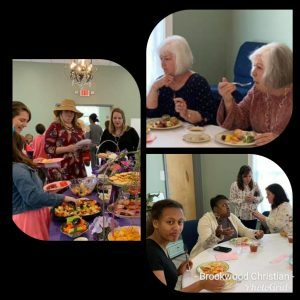 Ladies Tea & Silent Auction tickets on sale this week! 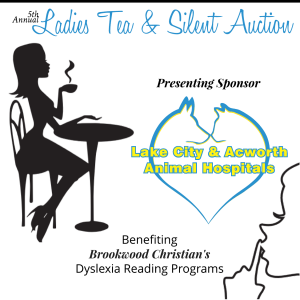 Watch out for tickets to go on sale this week for our 5th Annual Ladies Tea & Silent Auction! This will be the first year we do not have it at the Beach House, but rather our brand new Auditorium, and we are excited! We have listed a VERY short list of a few of the great items we have this year, and will have more coming soon. Click HERE for details and continuous updates. 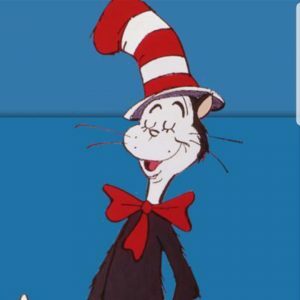 Ride 2 Read less than 2 weeks away! DETAILS: $30/bike + $20/passenger ~ Led by CHEF HENRY! This is an escorted ride, approximately 2 hours, and a support trailer will be following the ride. Includes: Breakfast Catered by Henry’s Louisiana Grill & Henry’s Uptown, Live music by David Arnold, t-shirt for first 100 people, and more! Enjoy Breakfast only for $13 and support the riders! 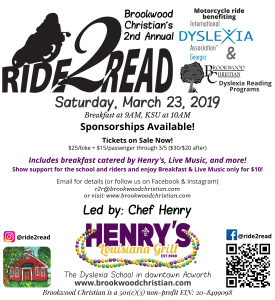 Chef Henry Chandler is proud to support Brookwood Christian School and has happily supplied breakfast to fuel up participants for the Ride 2 Read ride on March 23rd. We’d love to see you back at the restaurant afterwards if you’d like to stop in for lunch! In expectation of your support, Chef will open Uptown for lunch and bar service directly after the ride. See you there, and thank you for supporting Brookwood and Henry’s! 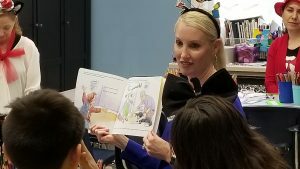 Friday, March 1, 2019, we had Mrs. Georgia US Continental, Merideth Pope, reading to our lower grade students! 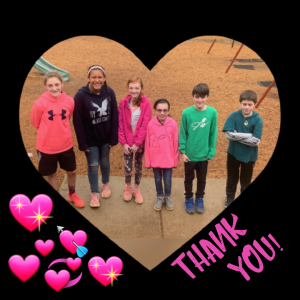 Our students want to thank everyone for participating in their Valentine’s Tea Fundraiser. 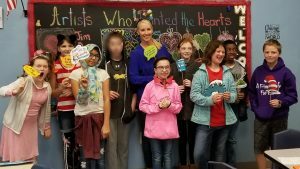 Thanks to your participation, support, and the art auction, they raised $1108.88. 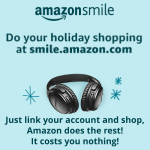 Again, thank you for your support and help. 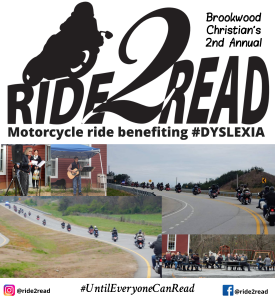 Want to support our Ride 2 Read for Dyslexia but don’t ride? 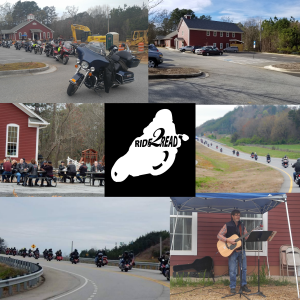 You can come hang out with the bikers, enjoy live music by David Arnold, and have Breakfast catered by Henry’s Louisiana Grill, all for $10 per person (through 3/5 3/11, then $15 per person), and then see the riders off! 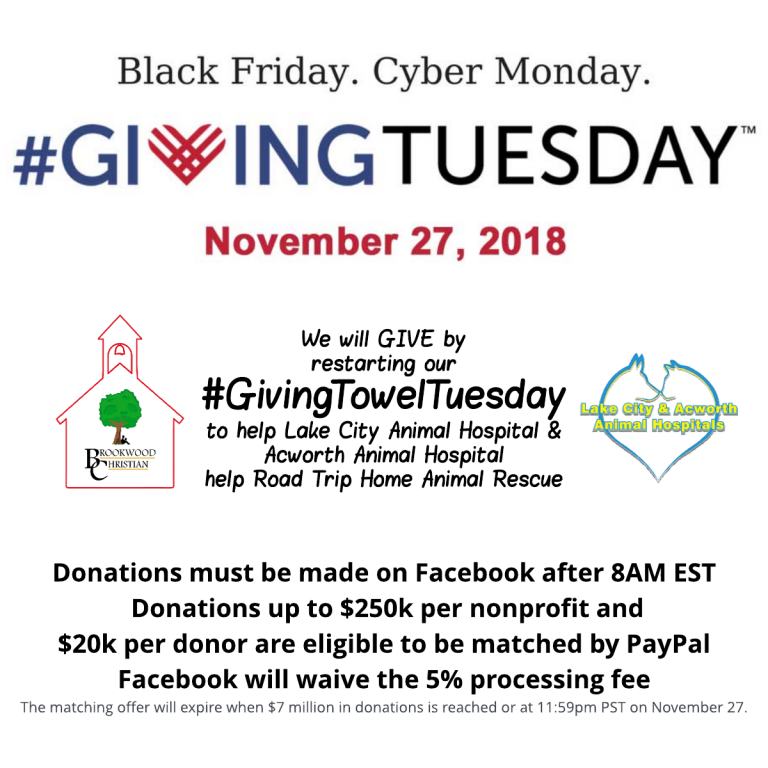 Click HERE for more information, or get your tickets now. Today is our wrap up for #10on1010 birthday celebration AND #DyslexiaAwareness Month. 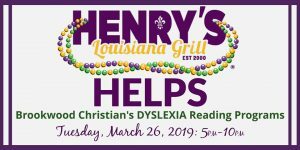 Join us for a fundraiser dinner at Henry’s Louisiana Grill & Henry’s Uptown! 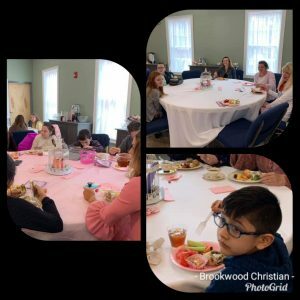 Just leave your itemized receipt in the #HenrysHelps jar before you leave and Henry’s will donate 15% of food and non-alcoholic beverage sales to Brookwood Christian from the collected itemized receipts!